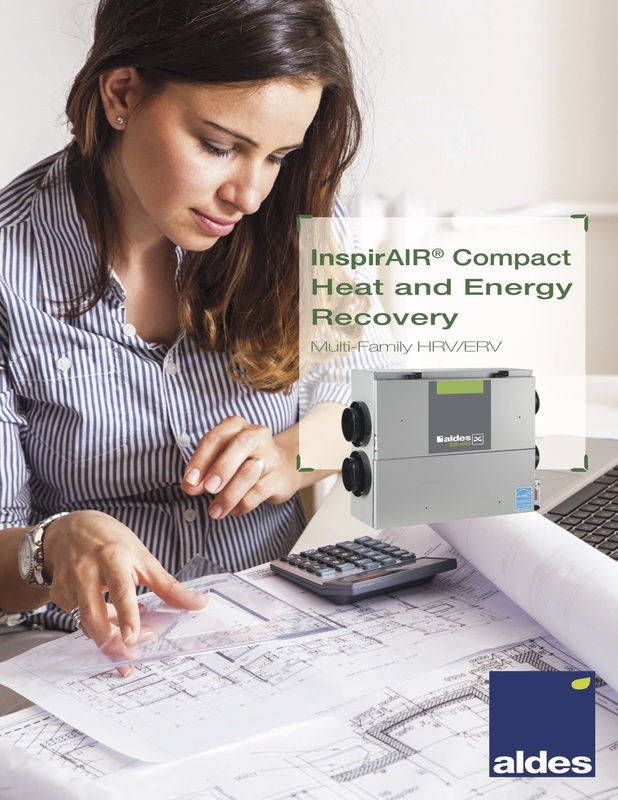 The energy efficient InspirAIR® Compact balanced in-suite E80-HRX ventilation solution that is ideal for multi-unit residential buildings. The E80-HRX features an EC Motor that saves up to 35% on electricity compared to PSC motors. What’s more, the E80-HRX delivers ENERGY STAR® qualified performance and a latent transfer of over 65% in a compact, easy-to-install package that’s only 9 inches (230 mm) in height. Easily concealed in a drop-ceiling or soffit, this unit has been thoughtfully engineered for apartments, condominiums, and other dwellings. 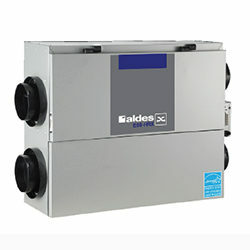 The E80-HRX includes Aldes’ exclusive EvacMAX™ on-demand boost for maximum ventilation, and FLEXControl, electronic calibration that eliminates the need for balancing dampers and maximizes overall efficiency.